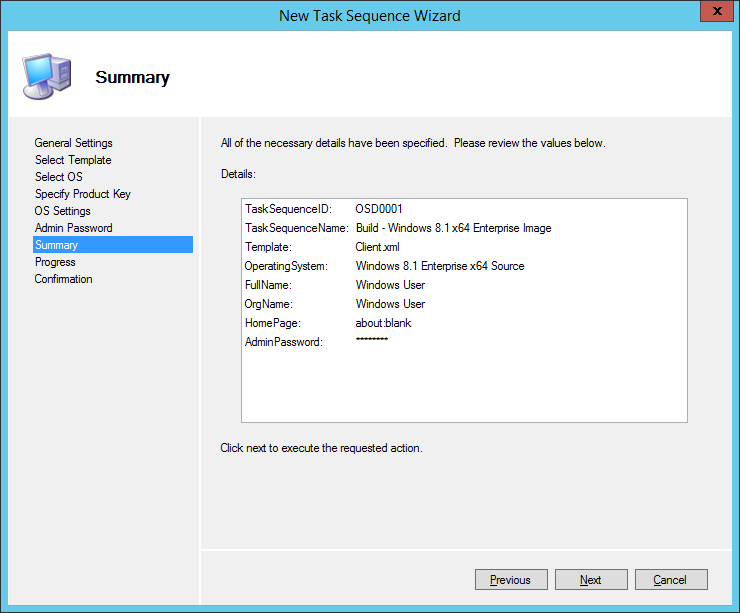 Great that Microsoft at last put an understandable Technet article on “Create a Windows 8.1 Reference Image”. Great comments by you aswell on clearing the event logs. 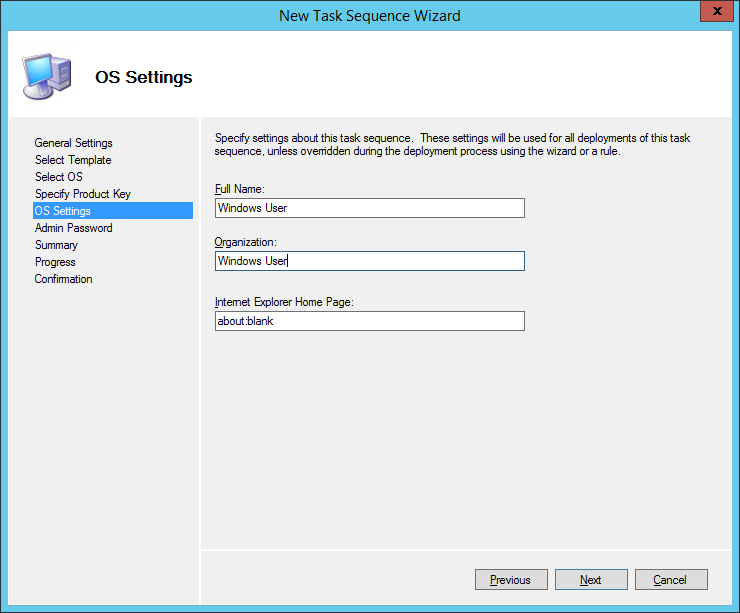 I think Microsoft should put that as default in MDT. So to put my words in action, this is how I build my reference images. 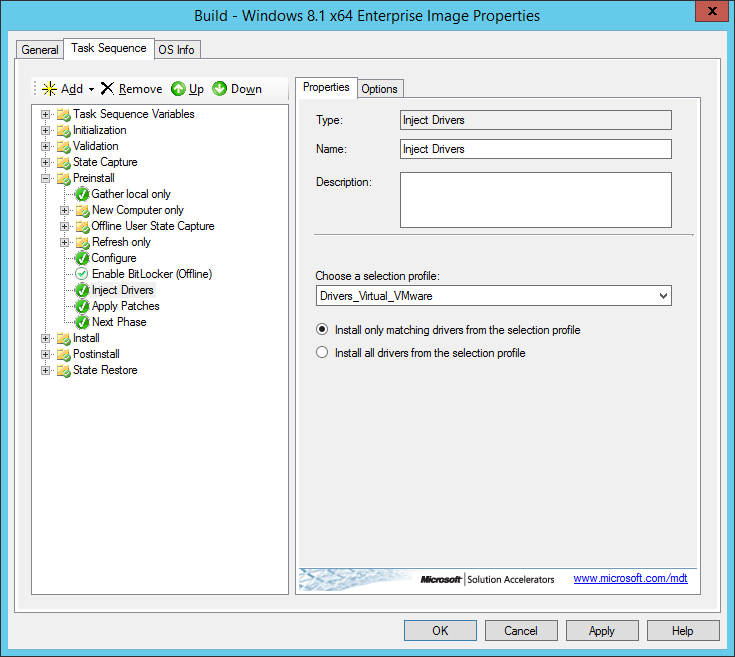 !Note: this post focusses on building a Windows 8.1 Enterprise image, but with some adjustments can well be used for a Windows 7 Enterprise deployment. 1. 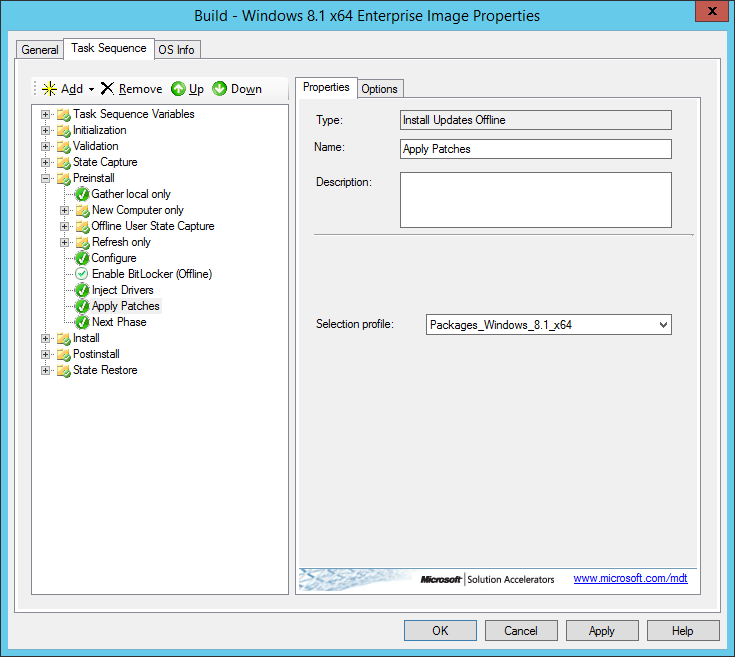 Use the ConfigureDeploymentShare script. 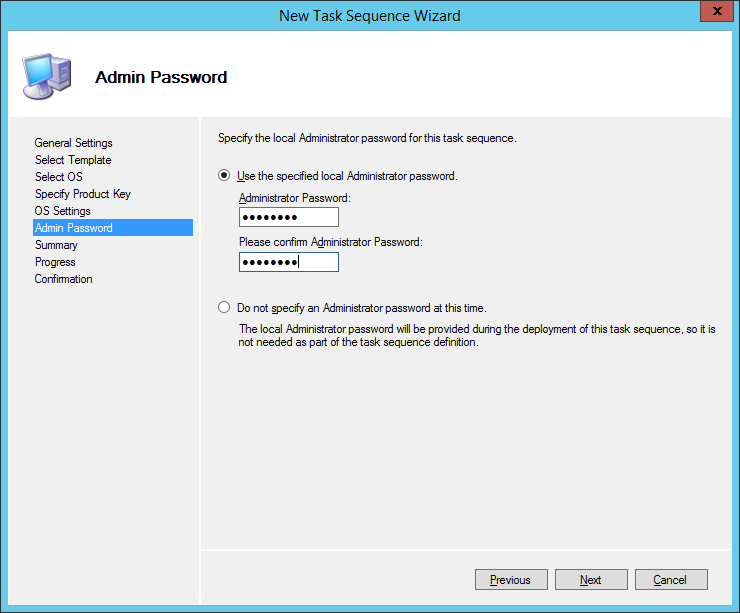 To get a headstart with configuring MDT, you can save a lot of time by using my powershell script. It will create and configure everything in your deploymentshare, based on a logical structure I’ve designed. 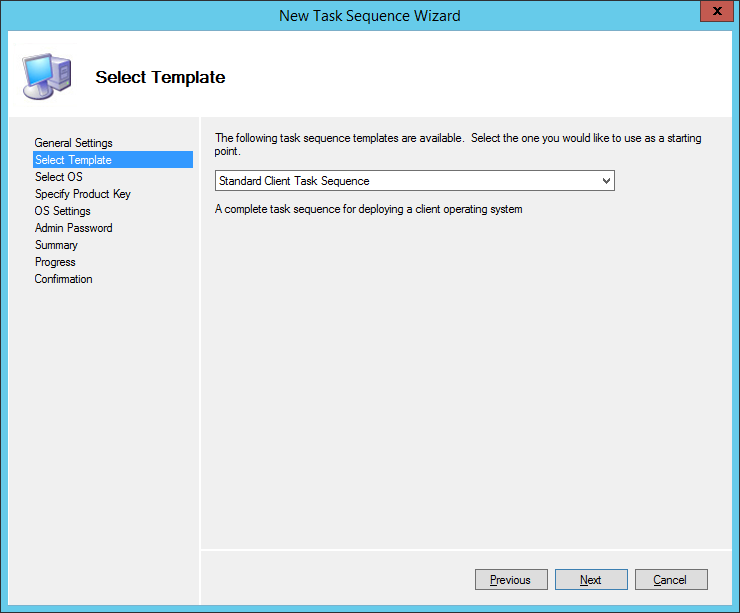 Within MDT there are several templates available which set you up with a task sequence from where you should be able to do a deployment. 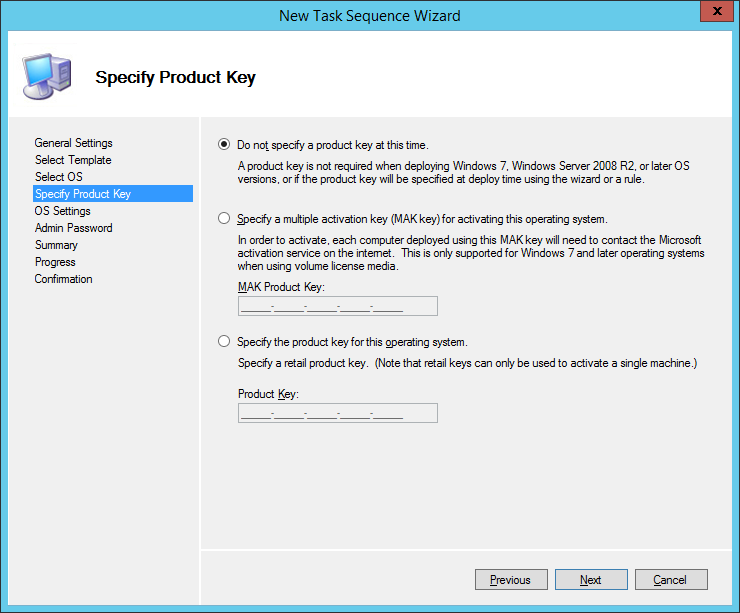 Now understand that there is no difference between a so called ‘build task sequence’ and a ‘deploy task sequence’, the differences are made by the person that’s responsible for the MDT environment. From there a wizard will start, asking some basic information. This information is used to generate the unattended.xml which is used to deploy the operating system unattended with the information specified in the xml file. The same goes for the OS Settings, why specify the company name during the build already, when the company information is only relevant during deployment. Using generic information, does not cloud your image with irrelevant information, and enables you the use the images for more then one company for instance. 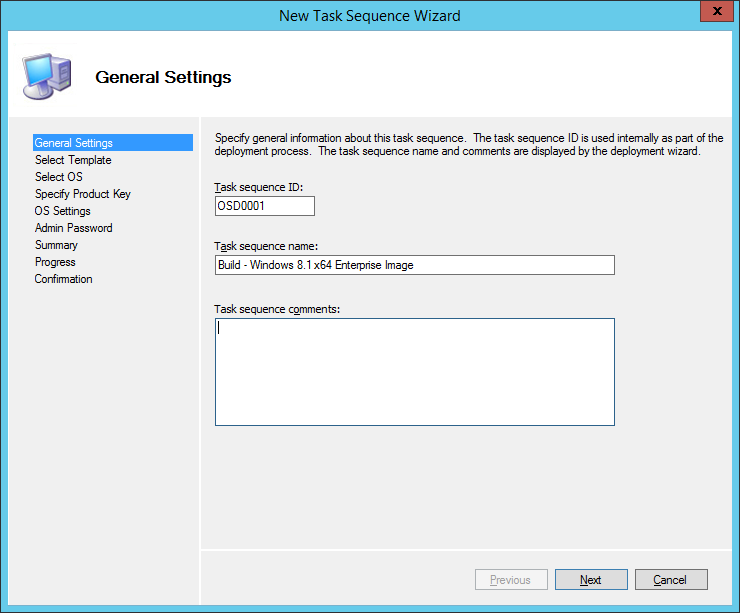 The summary displays the information we have provided before the task sequence is created. New-PSDrive -Name "DS001" -PSProvider MDTProvider -Root "D:\DeploymentShare"
Now that’s out of the way. 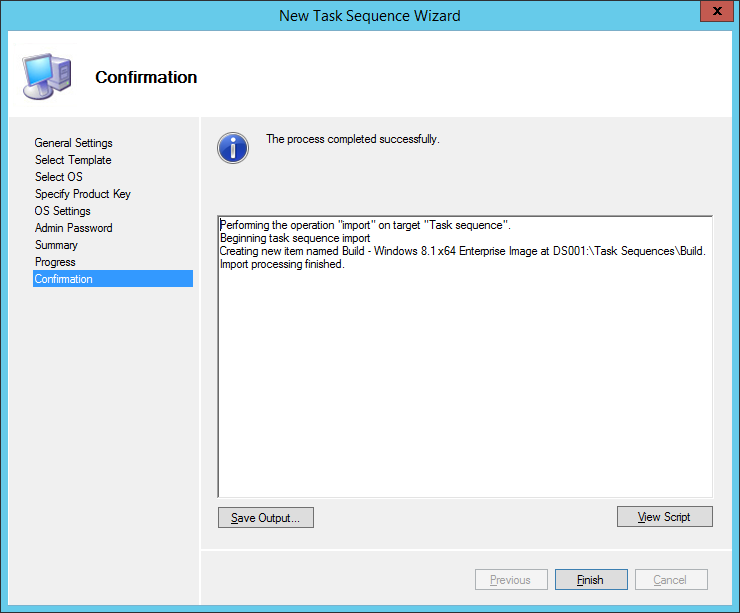 Lets have a closer look at the Task Sequence properties. FinishAction, specifies that when the machine is finished capturing the wim file it will shutdown automatically. 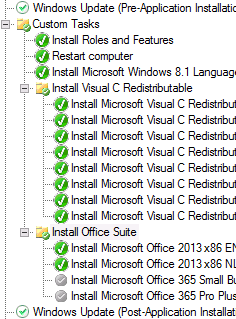 Injecting packages upfront will shorten the time Windows Updates will run post-Operating System installation. This means that update files can be changed offline which is much faster then online update installation. Since there are no services running yet, no DLL’s registered, etc. Next stop: “State Restore”, since the “Install” step only concerns applying the source wim file to the virtual machine and post install is setting up and configuring the machine for use. We can skip these steps and advance straightaway to the “State Restore” step. Of course these steps can be altered and can be focused on the requirements of your own organization. This is not a best practice, this is just my way of building a corporate ready reference image. Temp files and temp directories, such as logfiles that have been left over from the Visual C++ installation, the “Perflogs” and “temp” directory etc. 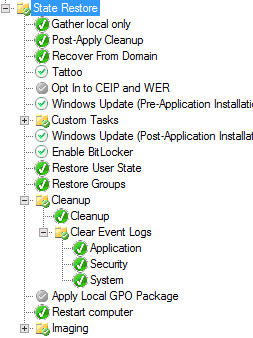 Clean up logfiles, this makes sure your logfiles are clean and empty before the machine is being captured. This makes sure that newly deployed machines don’t have a logfile full of entries back at the day the reference image was created. #	v1.0	Rens Hollanders rens.hollanders (@) gmail.com / First Release of script. #Remove File in the systemroot. #Remove Directories including subfolder and files. And last but not least, before the sysprep and capture phase takes place, one final reboot of the machine to process system changes that otherwise may interfere with the sysprep process and may cause your entire task sequence to fail at this point. This will create a shortcut on the desktop, enabling you to make adjustments, restarting the computer and when finished making alterations, to continue the process of creating the reference image. 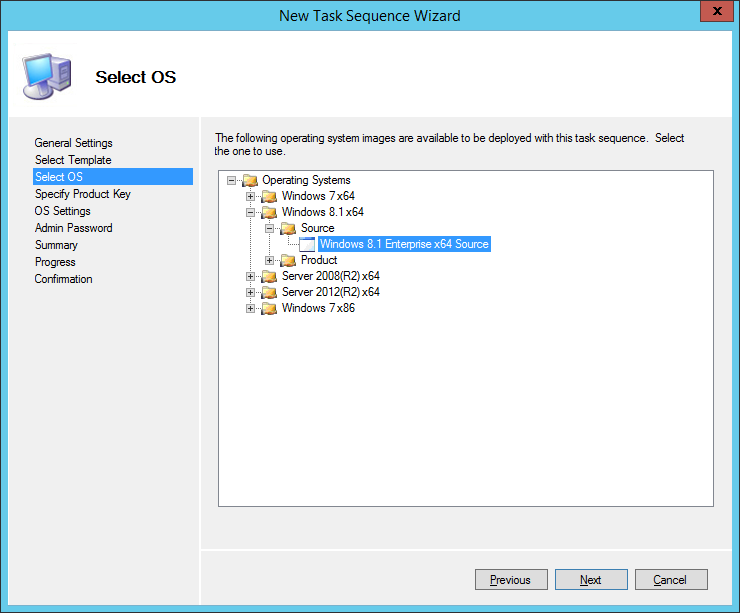 Hi guys and girls, it’s been a while since I’ve written an post related to MDT or anything other useful to contribute. The’re no issues I’d encounter and had to resolve, and unfortunately no new stuff I haven’t done. So if there’s is anything you would like to know or would like to have explained. Don’t hesitate and leave your comment or remarks in the comment section.